Still huge debts for taxpayers on failing toll motorways but, with traffic now increasing, the worst has passed. Also, winter tyre rules kick in in Austria, and Italy. Better news finally on Spanish toll roads which should go some way to overcoming the country’s reputation as the European poster boy of expensive and underused white elephant infrastructure. Operator Albertis last week reported an overall 5.9% increase in traffic between January and September this year. After six successive quarters of growth, traffic has reached its highest level for fifteen years. However some problems do remain, mostly around Madrid, where – ironically – the roads have suffered gridlock twice so far this month. The M-12 between the city centre and Barajas airport is now in liquidation reports El Pais. It joins AP-36 between La Roda and Ocana south west of Madrid in formal proceedings. Meanwhile, the capital’s R-3 and R-5 ring roads are both renegotiating with creditors and R-2 and R-4 are reportedly at risk of bankruptcy, as is the Madrid-Toledo AP-41. The only struggling road not in or around the capital is the section of AP-7 ‘Autopista del Mediterráneo’ between Cartagena and Vera near Murcia in the south west. The problem has been that many of Spain’s new motorways run parallel to existing roads. It means drivers have easy, free alternatives, much like the struggling M6 Toll Road in the UK. Attempts have been made to stimulate traffic this year, principally by offering hauliers a fifty percent discount on highway tolls. The roads were all built using loans guaranteed by the government which could put taxpayers on the hook for €4.5bn. While still a large amount of money at least there is clarity now about the scale of potential losses. Three years ago it seemed the entire tolled network was in danger of collapse. 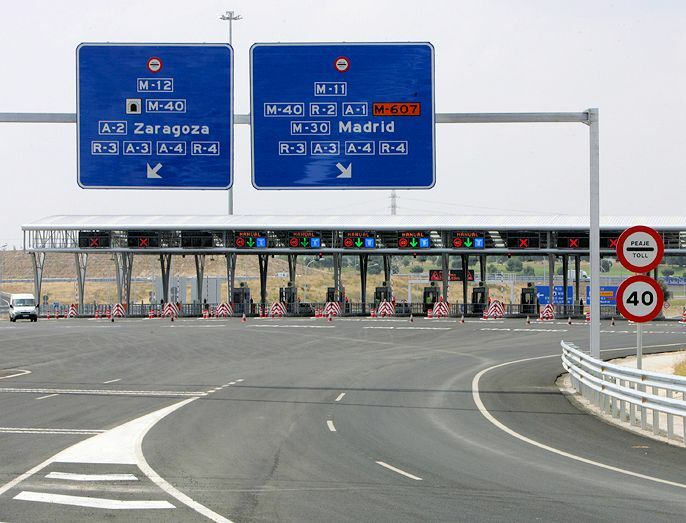 Need to know: Spain has two types of motorway, Autovias and Autopistas. Only Autopistas – roads with AP in the name, like AP-2 Zaragoza-Barcelona – are charged, but even then not always. Autovias – using just A in the name, like A66 Seville-Salamanca – are always free. See more on Spanish toll roads. As of yesterday (1 November), until 15 April, cars in Austria must be fitted with ‘winter tyres’ – marked at least M+S – during wintry conditions, i.e. with snow or slush on the road. Vehicles heavier than 3.5t must have winter tyres fitted to at least one drive axle whatever the conditions – with a minimum of 5mm tread depth – and carry snow chains for at least two driving wheels. A spot check by police on the A4 Vienna autobahn today found 80% compliance. More roads in Italy also require winter tyres or chains from 1 November. See more on Winter Tyre Rules. 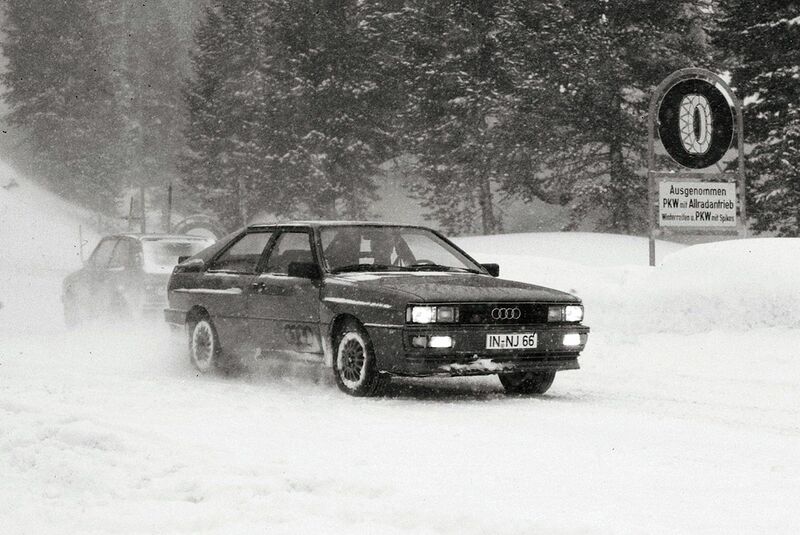 Photo: testing the original Audi Quattro on Turracherhohe, Austria, 1978, Audi AG.